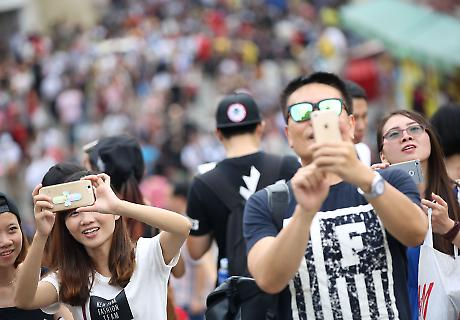 The tourism and travel sector could represent 37.6 per cent of Macau’s total gross domestic product (GDP) in 2026, amounting to around US$27.2 billion (MOP218.65 million) according to a study conducted by the World Travel & Tourism Council on the sector’s impact on Asia Pacific. The report indicates that with travel and tourism representing US$12.2 billion or 27.3 per cent of Macau’s GDP in 2016, the city could see an average increase per year of 8.3 per cent in the following 10 years. The amount of people employed by the travel and tourism sector was also expected to reach some 139,500 individuals or 32.7 per cent of the local workforce by 2026. The WTTC report collected economic data on travel and tourism from over 30 countries in the Asia Pacific area, with the sector said to contribute US$714 billion to the region’s economy – 2.8 per cent of its total GDP – and with 67 million jobs directly created by the companies and organisations in the sector. The study states that between 2006 and 2016, Beijing and Macau were the two fastest growing cities in the Asia Pacific region, with both posting average GDP growth of 10.2 per cent. ‘This has been driven by very strong demand over this period as large numbers of households move into the middle class and are able to afford travel,’ the report indicated. The high reliance upon the Chinese market as a source of visitors, however, has led to a fall in visitor numbers with ‘government curbs on excessive expenses and gift-giving in business’ causing a fall in arrivals in 2015 and a larger drop in average spending. ‘The share of GDP directly generated by Travel & Tourism fell from a peak of 38 per cent in 2013 to 27.3 per cent in 2016,’ the report indicates. However, the report considered that encouraging signs were registered this year with growth recorded in visitation and overnight stays and, ‘more importantly’, rising spending. In the first nine months of this year Macau registered 23.83 million visitor arrivals, an increase of 4.2 per cent year-on-year from the same period last year, with overnight visitors growing by 10.8 per cent year-on-year to 12.63 million, recent data revealed. Meanwhile, visitors from Mainland China and Hong Kong represented 87 per cent of total visitors in the first nine months of the year. Despite the increase in visitors, the WTTC report considered that with average hotel room rates ‘remaining low’ a rapid rebound in GDP contribution was ‘unlikely in the near-term’ with some diversification in tourism offers in the city necessary to allow continued growth.